Tis the season for a Christmas jumper or two! It’s here – Christmas has come knocking yet again! Over the last couple of Christmas’ it’s been fairly popular to wear a retro 70’s style christmas jumper or to have an animal plastered across your chest wearing a santa hat with snow falling in the background. Well this Christmas you simply cannot get away from it!! There are Christmas jumpers EVERYWHERE! You can buy them at cheap and cheerful prices, or you can choose to splash out on something more to your own style choice. 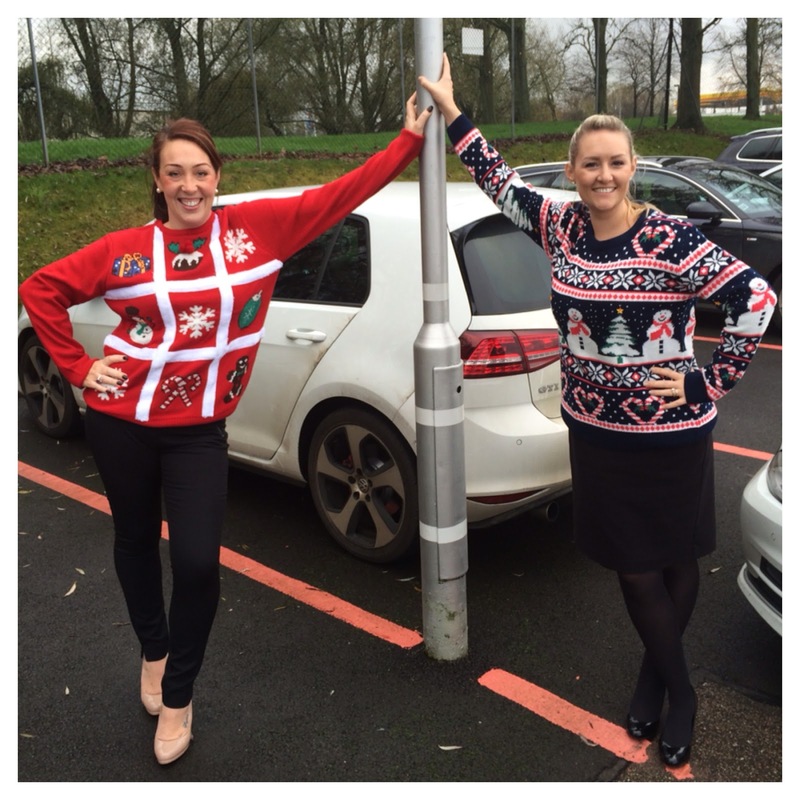 I thought it would be fun to get some ladies to join in and show us what Christmas jumpers they own, to give you a few ideas! So a big huge thanks to all of you for taking part – it’s very much appreciated. Followed next by my glamourous mother-in-law Carol, who is wearing a robin (which by the way is a bird that can bring you luck – so if you see one in the garden you should always make a wish!) 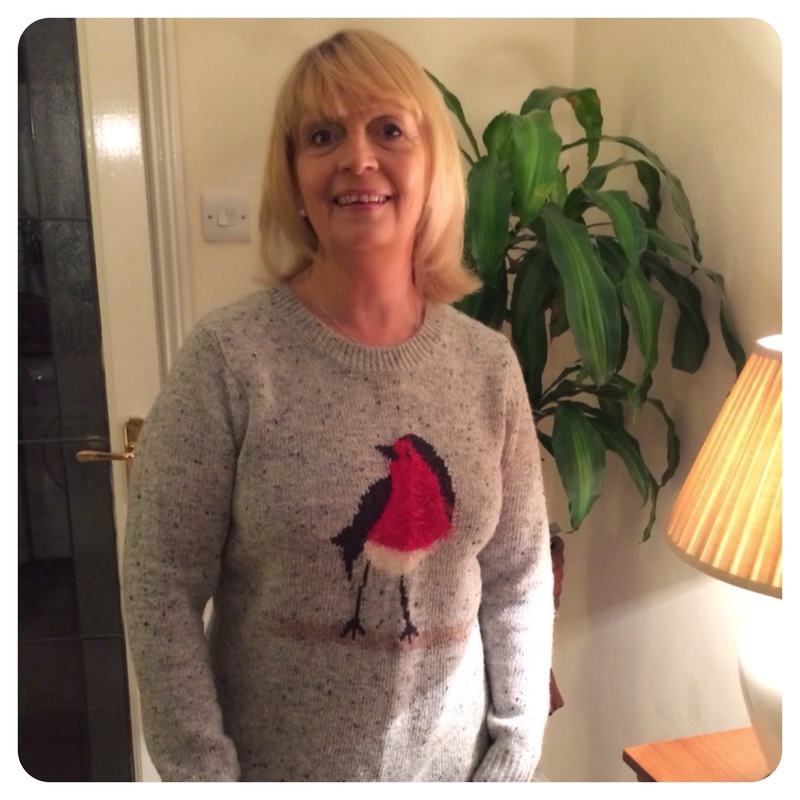 I’m going to reveal Carol’s secret now… she owns more than one Christmas jumper! 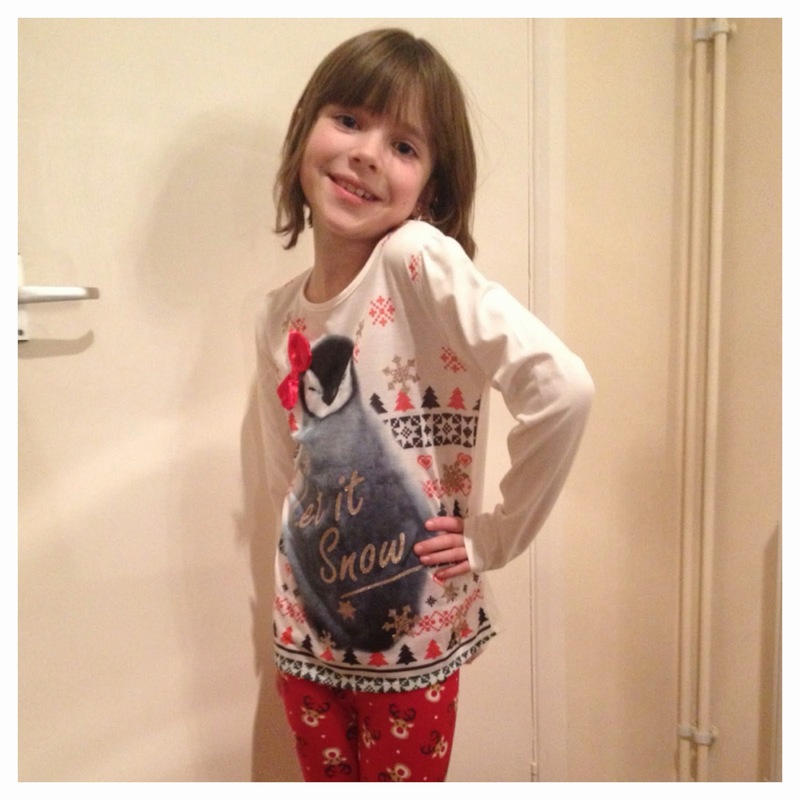 She also looks great when she wears her Mother santa jumper too! 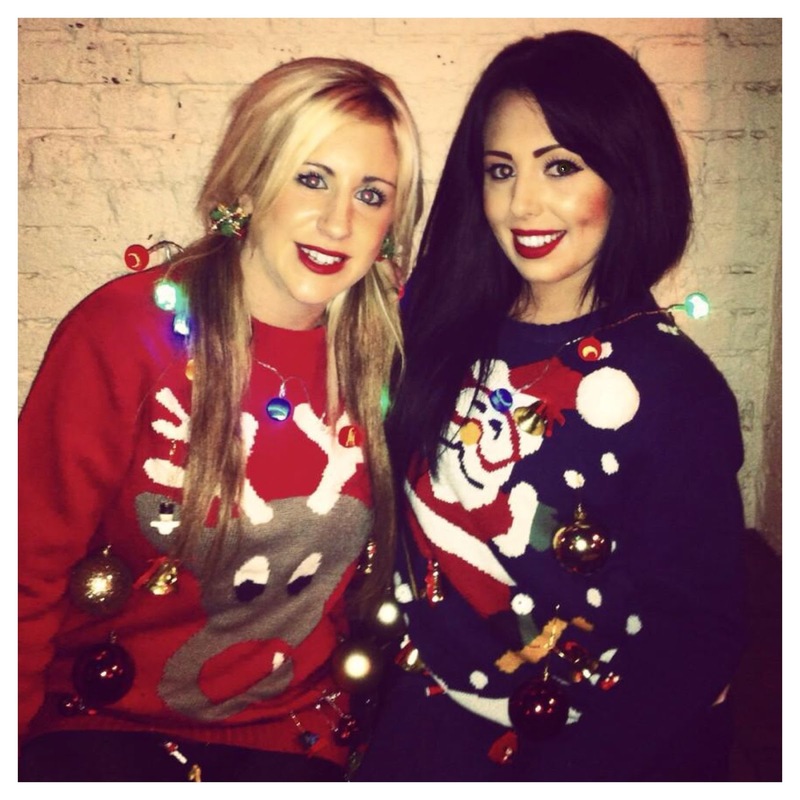 Lucinda (pictured left) responded to one of my requests on Instagram – here she is with a friend looking great on a night out; lots of colour and definitely a lot of Christmas spirit on the designs of those jumpers – simply gorgeous! Next up are two fabulous women who I get to work with daily! You’ve met Kelly (pictured right) before on Loved by Lizzi in one of my interviews. Here she is with her BFF Torie, these girls are a great laugh and I love the fact that as soon as I mentioned I would love their help – they were more than happy to take part! They got these fab jumpers from Primark. Here’s my dear friend and sister-in-law Sadie – this women simply loves Christmas and really gets into the spirit of it all – in fact just this weekend she’s been making 81 mini Christmas cakes and marshmallow snowmen!! Loving Rudolph and looking wonderful in her jumper that she purchased from Sports Direct. Now I’m probably going to sound biased, but hey she’s my fashionista Niece! I’m giving Ellie the title of best Christmas outfit for this blog, because she went that extra mile and wore Christmas leggings too! Trendy Ellie got her outfit from Sainsburys. Next up is my friend Naomi – after having lunch with her yesterday and with hardly any persuasion Naomi was happy to join in with the fun. 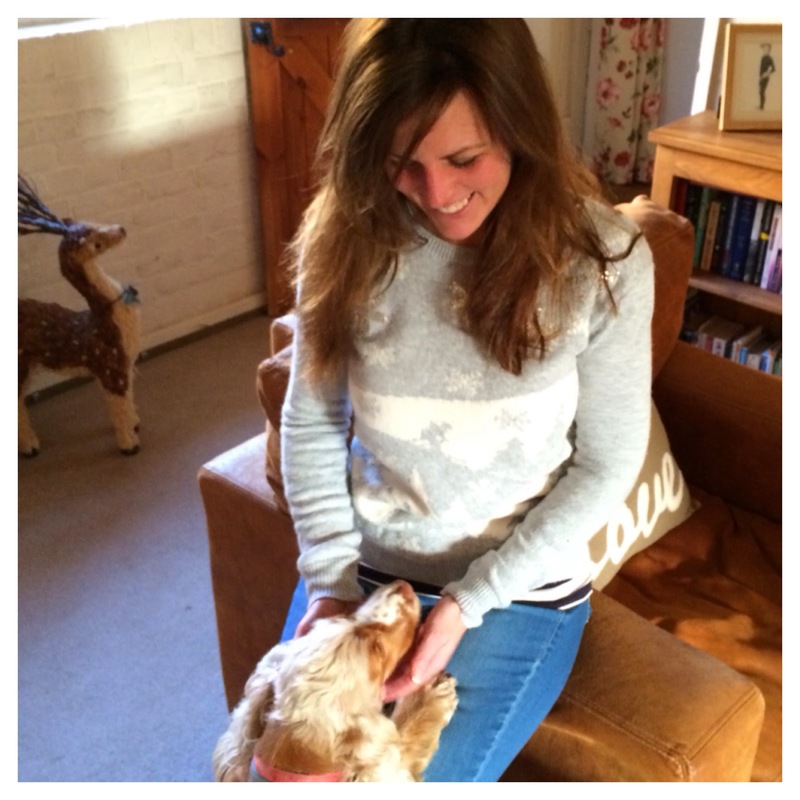 Here she is wearing a subtle and very stylish snowy grey jumper, pictured here at her home with her beautiful dog Betty! 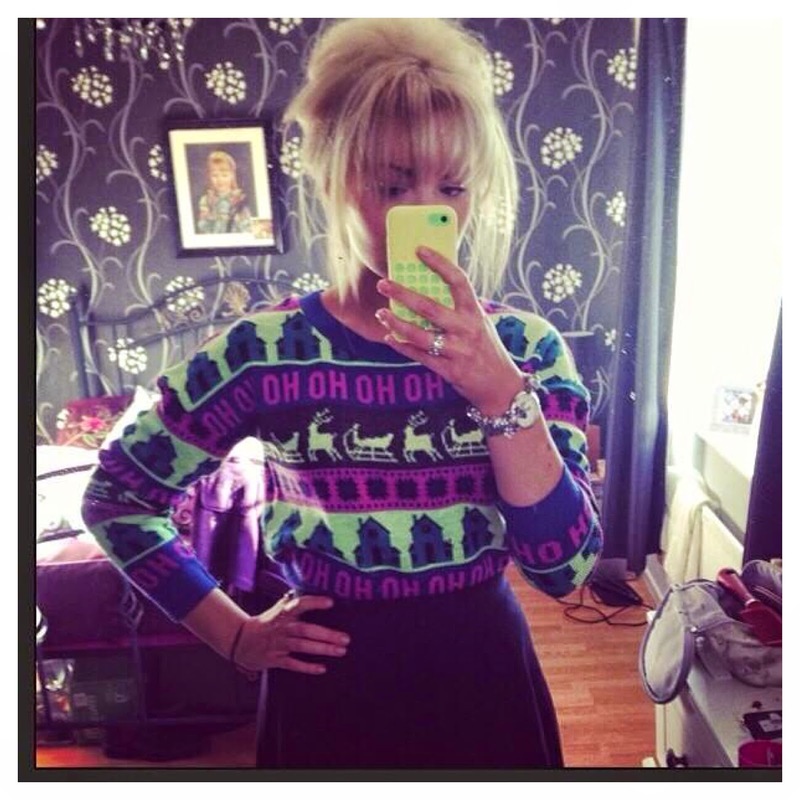 Amie also responded via Instagram – here’s a selfie of her Christmas jumper worn this time with a skirt – showing these jumpers are so versatile! Amie has her own blog too called DimpleBug which you can take a look at here. And finally it’s me! I’m so in love with penguins since going night-watching for them in Australia you can imagine my joy when John Lewis featured penguins in their Christmas ad this year – the romantic side of me loved that two penguins fell in love. 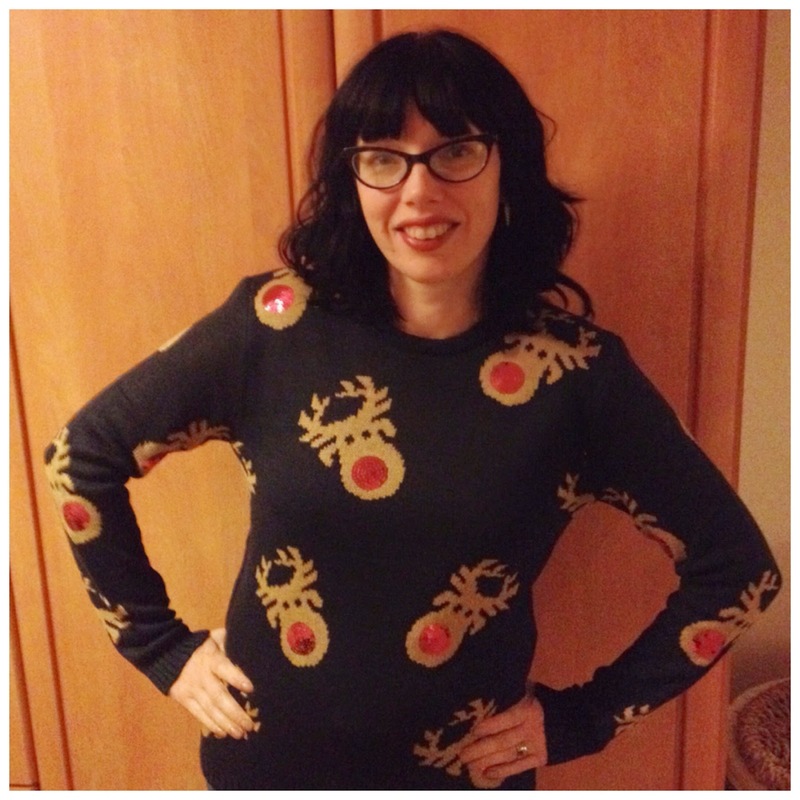 So when I spotted the kissing penguins jumper by John Lewis Weekend, this was the jumper for me! !